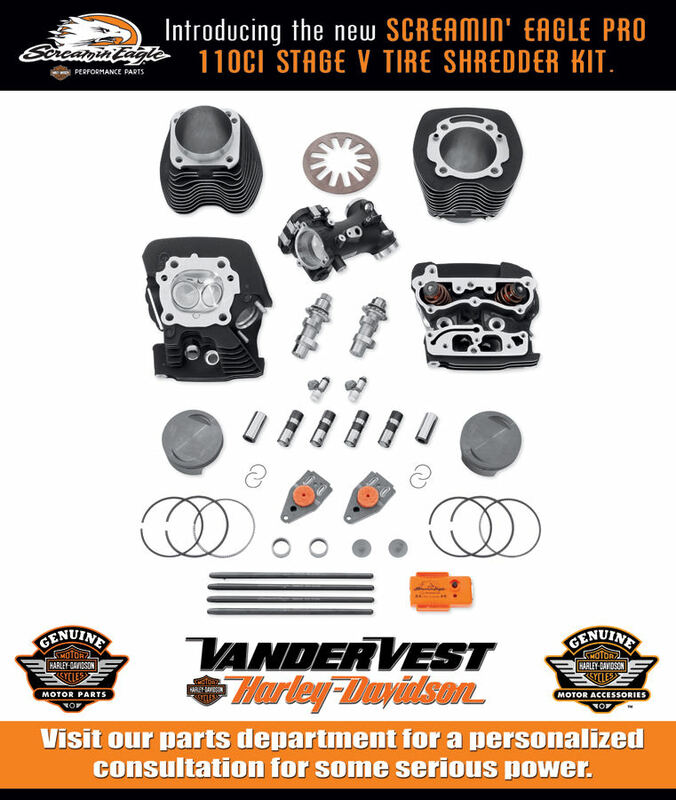 Give yourself and your Harley-Davidson® a gift, customize your motorcycle with HD®-1 Genuine motorcycle Parts & Accessories and installed at our H-D® Authorized Service Dept. We are located in Green Bay Wisconsin and nearby to Howard, Appleton, Shawano, and Milwaukee and Michigan's Upper Peninsula. The best time to service your Sportster®, Dyna®, Softail®, V-Rod®, Touring and CVO™ is in the off season when you don’t have to worry about down time. And what better way to do this by storing your motorcycle with us for the Winter - check out our storage page for full details and let your motorcycle be maintained by our Tech specialists, at our H-D® Authorized Service Dept. Our motorcycle parts department also serves the Howard and Milwaukee areas and strives to keep the latest in Harley-Davidson® Genuine Motor Parts and Accessories in stock and ready to install on your ride. If we don't have it in stock we can usually get it within 2 days. We also handle numerous books with aftermarket motorcycle parts and accessories to meet everyone's needs. For those in a rush, we ship UPS direct for all phone orders. Call to place your order today or fill in the form below. Remember you can also order on-line the e-commerce way. Kit features redesigned cast backplate with integral breather and mounting brackets for simplified installation, and a new air cleaner element that does not require oiling. This Big Bore Kit lets you increase your Twin-Cam equipped model displacement from 88 cubic inches (1450cc) to 95 cubic inches (1550cc) and from 96 cubic inches (1584cc) to 103 cubic inches (1690cc). The kit includes cylinders, pistons, clips, rings, air cleaner, breather hardware and gaskets. A high-performance clutch spring is included to provide the additional clutch capacity required by the extra power. Requires separate purchase of primary cover gasket. This kit is street-legal when used with stock mufflers.